Sue Whiting is well positioned to write the text, as both an ex-teacher and current editor at Walker. 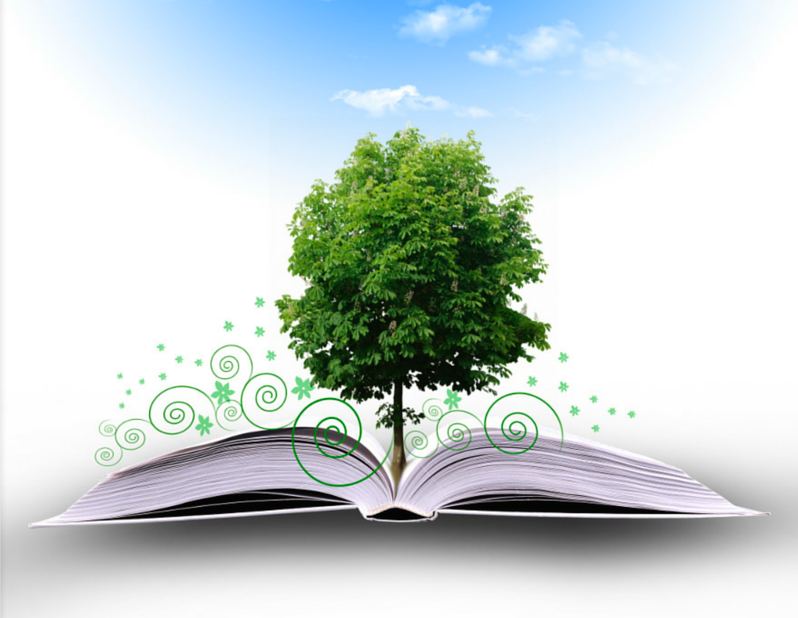 There are some lovely sections of repetitive text, and rich figurative language which may be useful for introducing personification and metaphor in the classroom. 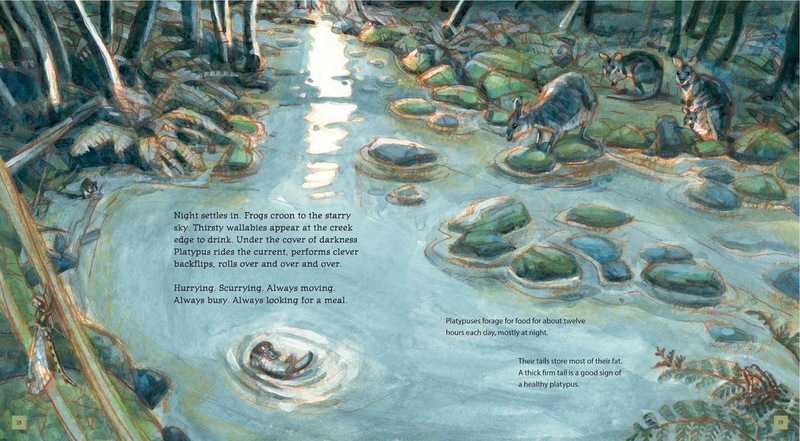 The illustrations by Mark Jackson are just right, depicting both the fluidity of the river habitat and the frenetic activity of the platypus. The palette is perfect, and I particularly enjoyed the smaller framed illustrations which break up the double spreads. Don’t skip over the final endpaper – it’s gorgeous too. 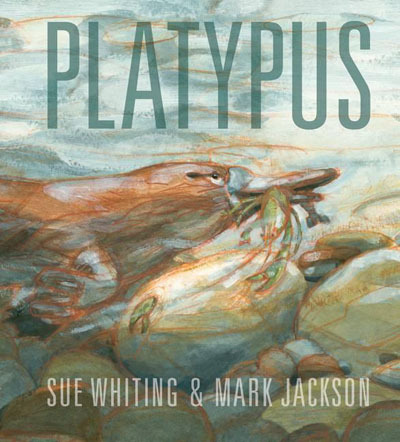 Platypus is Jackson’s third book in the series (he also illustrated Bilby Secrets and Python) and I hope he illustrates many more. This book will be well used in classrooms, and an excellent addition to school libraries. Teacher Tip: Useful Teacher’s Notes by Steve Spargo are available here via Walker. They are linked to Australian Curriculum outcomes for both English and Science (Years 2 and 3). 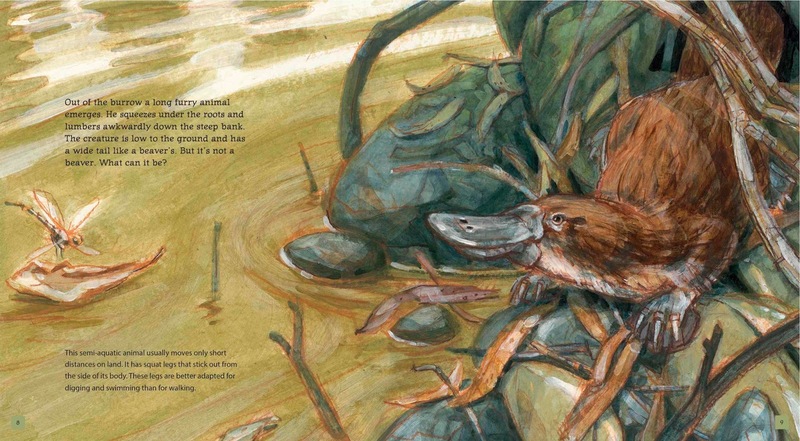 *I received a review copy of Platypus courtesy of Walker Books Australia. No payment was received for review and all comments are based on my own professional opinion. Love the illustrations and look forward to reading your book. Platypusi are so hard to find in the wild these days.